Why does my IP keep changing? Why Does Your IP Address Change Now and Then? 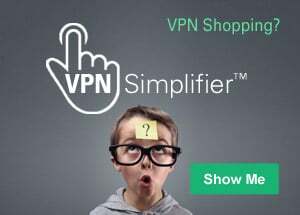 For most of us who are everyday computer users, our IP addresses are provided by an Internet Service Provider (ISP), typically a cable company such as Cox Communications, Time-Warner Cable or a phone company such as AT&T. Once you set up an account with an ISP, they will automatically assign you a unique IP address. The ISP will likely have to visit your home to install your connection, and then you'll be ready to hook up your computer and modem to their network to go on the Internet. You'll know that everything's working once you open an Internet browser to do a search on Google or to send an email—and everything works just fine. If it doesn't work at first, you might have to work with your ISP's technical department to get everything straightened out. Luckily for most of us, all of this technical stuff happens in the background. That is, technology is so sophisticated these days, it doesn't take too long to get everything working, and it doesn't take too much effort on our part. Your computer's networking hardware, your modem and the entire TCP/IP networking software built into your computer sorts it all out. It's almost "plug and play." And one of the first things you might do with a new connection is to see what your new IP address is. Make a note of the IP address—but don't get too attached because most likely, your ISP is called a dynamic IP address, which means it's subject to change on you. (Not that it will, but it can.) If it weren't a dynamic IP address, it would be referred to as a static IP address...unchanging. So, why the need for change? It's strictly a matter of numbers. There are millions and millions of computer users everywhere around the world and they are connected to the Internet at any one time. Some people are on the Internet often, others only now and then and sometimes for just a few minutes to send an email. As mentioned earlier, everyone who is online needs a unique IP address. Assigning a permanent, static IP to every ISP subscriber would have been very expensive, when you take into account all the logistics involved. And with the current generation of IP addresses (technically called IPv4), the number of static IP address would have run out fairly quickly. So the Internet world introduced the concept of dynamic IP addresses. That allowed ISPs to provide their subscribers an IP address that might change if needed. In essence, that IP address is borrowed or "leased" to you whenever you go online. Most of the time, you'll find that your IP address doesn't change...even though technically it is classified as a dynamic IP address. For instance, as I write this article, my dynamic IP address hasn't changed over the past three months. But there was an occasion when it did—when I switched routers. Dynamic IP addresses make it easier for your ISP if you're an ordinary computer user. If you decide to move across town, you can still keep your ISP, and they don't have to go through the hassle and account work of rerouting your "permanent"/static IP address. Instead, you're simply automatically assigned a dynamic IP address that's available when you move. Finally, remember that every time you use a laptop computer on a Wi-Fi (wireless) network, you're switching IP addresses. You'll be using the IP address of whatever network you're on. That's because the IP address of "your" computer doesn't belong to your computer—it belongs to the network you're connected to. Your computer is just borrowing it for a while. That's why you'd have a different IP address at a coffee shop than the IP address you'd have at a hotel on the corner. Different networks, different IP addresses. And that's why you shouldn't get too attached to your IP address.